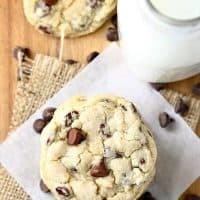 BEST SOFT CHOCOLATE CHIP COOKIES — The best, soft and chewy chocolate chip cookies you’ll ever make! I like my chocolate chip cookies soft and chewy, and I’ve experimented for years to come up with a recipe that I LOVE! I think this Best Soft Chocolate Chip Cookies recipe is it! These are even soft the next day, and the day after that . . . the first secret is not to bake them too long. You want to remove them from the oven when they are just barely golden on top. I also add a few secret ingredients, including a bit of sour cream and some cornstarch. The cornstarch keeps the cookies from spreading too much, so your cookies are taller, puffier, and of course, softer! I like to scoop out the cookie portions and then freeze the dough. Whenever I have a cookie craving, I just pop the frozen dough onto a cookie sheet and in 10 minutes I have warm, freshly baked cookies. To prevent your pre-made cookie dough portions from sticking together, freeze them separately first (on cookie sheets or in a 9×13 pan) before transferring them to their final storage container. Then you can have fresh-from-the-oven cookies whenever the craving strikes! 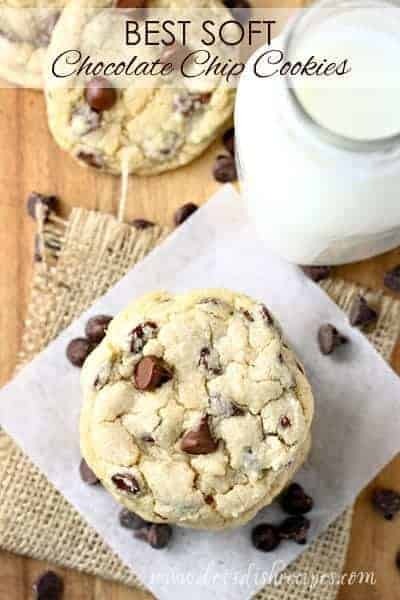 Be sure to save this Best Soft Chocolate Chip Cookies recipe to your favorite Pinterest board for later. 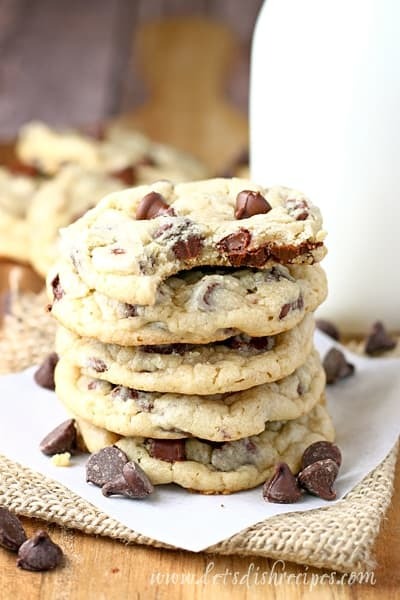 The best, soft and chewy chocolate chip cookies you'll ever make! Cream together butter and sugars for 3-4 minutes with an electric mixer on high speed. Add eggs and vanilla and beat 3 minutes more. Stir in sour cream, followed by salt, soda, baking powder and cornstarch. Blend in flour, 1 cup at a time. Stir in chocolate chips. Drop by teaspoonfuls onto ungreased cookies sheets and bake for 8-10 minutes or until just brown around the edges. 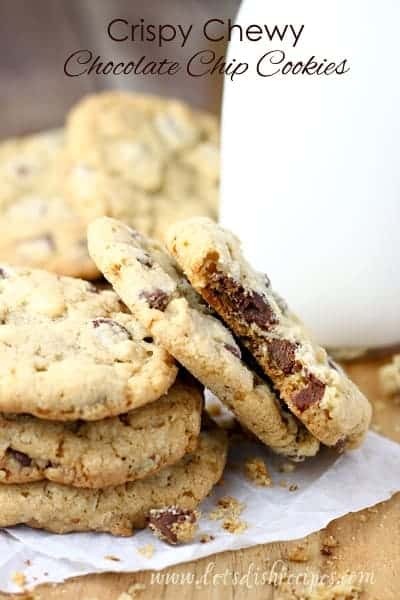 Who Dished It Up First: This started out as the recipe for Mrs. Fields Chocolate Chip Cookies that circulated years ago, but I’ve made a few adjustments to achieve chocolate chip cookie perfection! i’m definitely going to try these! When you cook them from frozen do you do 10 min. and from nonfrozen 8min? This makes a lot of cookies, 5-6 dozen. Wow! its so yummy..i hope i can try this for my Eid Mubarak soon..
you probably already know this but if you put a slice of bread in the bag/container that you are using to store the cookies it will remain soft for up to a week. At the end the bread slice will be really dry because the moisture has been drawn out of it. I will definitely be giving these cookies a try. 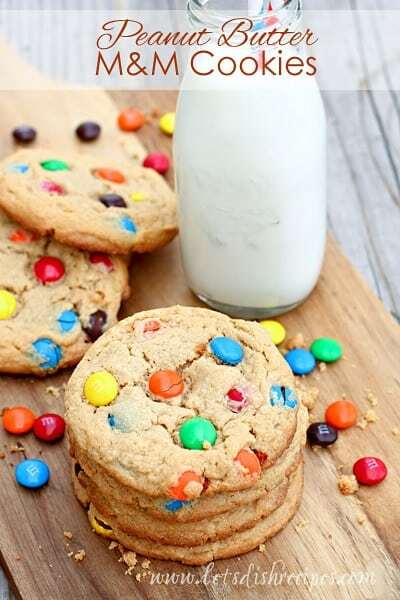 I love soft and chewy cookies and have been looking for a great recipe! 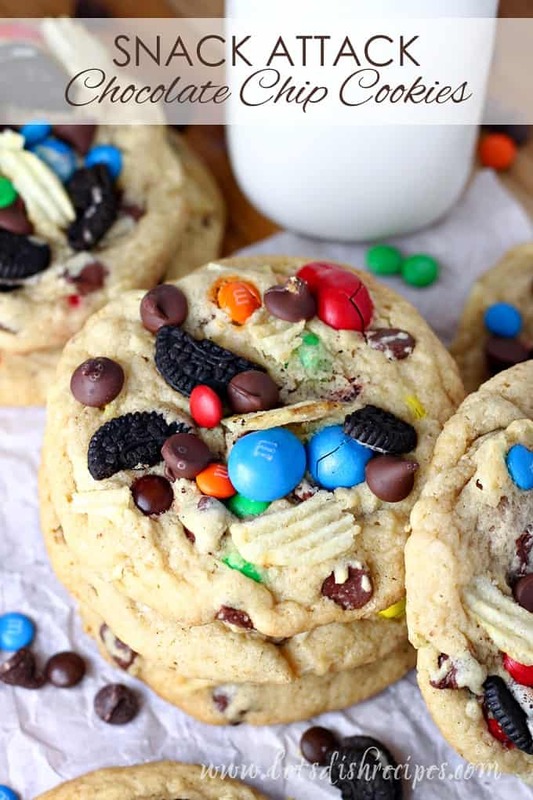 I have a chocolate chip cookie recipe that I’m pretty loyal to, but these just might beat that out! They look amazing! Very good… made a batch for my son’s football team and there were only crumbs left! I’ve been looking for a good chocolate chip cookie recipe for years, and this is the closest I’ve come to perfection. I halved the amounts, and made approx. 18 cookies. (I like my cookies extra large). Of course, they needed a bit extra time in the oven, but I took them out before they actually looked done, and am now blessed with truly wonderful chewy cookies. I expected them to spread a little more, so next time I won’t make them quite so high (I always peaked my other cookies so they wouldn’t spread excessively). I also added walnuts, and put in slightly less chocolate chips than what was called for. Thank you so much for posting such a great recipe! ChrisnCO I use 1/4 cup sour cream in both, but I don’t think it would hurt to use 1/2 cup in the chocolate chip cookies. They would probably be even softer. I made these cookies today and they turned out wonderfully. With so many friends and family, a double batch was needed and it turned out just fine. I used less than what it called for in chocolate chips and also added 2-3 tsp of ground flax-seed in the batter – you couldn’t tell! This is definitely a recipe I would use again. Thank you! I wonder what I did wrong, mine came out too cakey. Anyone know? How much cornstarch? It’s not listed in the ingredients or procedure. I usually add about a teaspoon. I added that to the recipe. But some people add as much as 2 teaspoons.